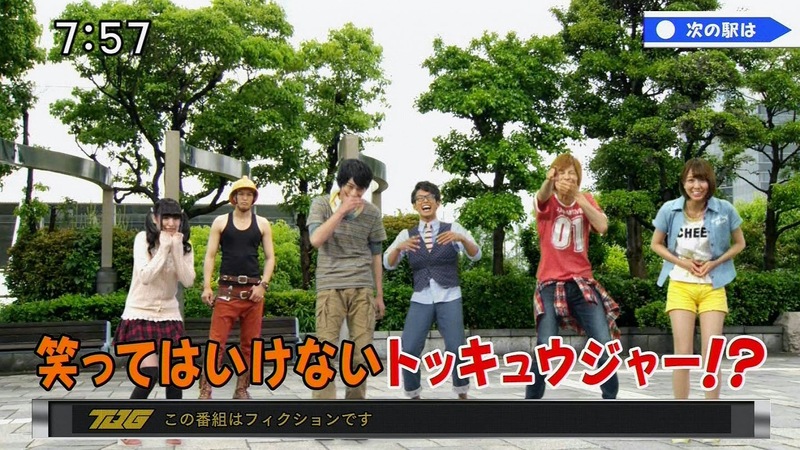 Ressha Sentai ToQGer episode 20 is entitled: Smiling Is Dangerous. Here is a preview of this episode. Jack-in-the-Box Shadow's ability to send people flying away from him if they laugh affects all the ToQgers except Akira, leading the others to help Akira find his sense of humor or else he may be killed.